Nairobi Visiting Korogocho, where ACORN Kenya has worked for the last more than eight years, we wanted to make sure that we had an opportunity to visit an interesting experiment in community radio, KOCH-FM 99.9. Years ago, I had noticed there might be such a thing when we were visiting our groups, but we had failed to make a connection. More recently, we had tried to track them down, and ACORN Kenya’s organizers, Sammy Ndirangu and David Musungu, had done several preliminary shows, and a partnership was growing. Meeting the station manager, Doreen Maan, we got a much better understanding of exactly how unique the station is. 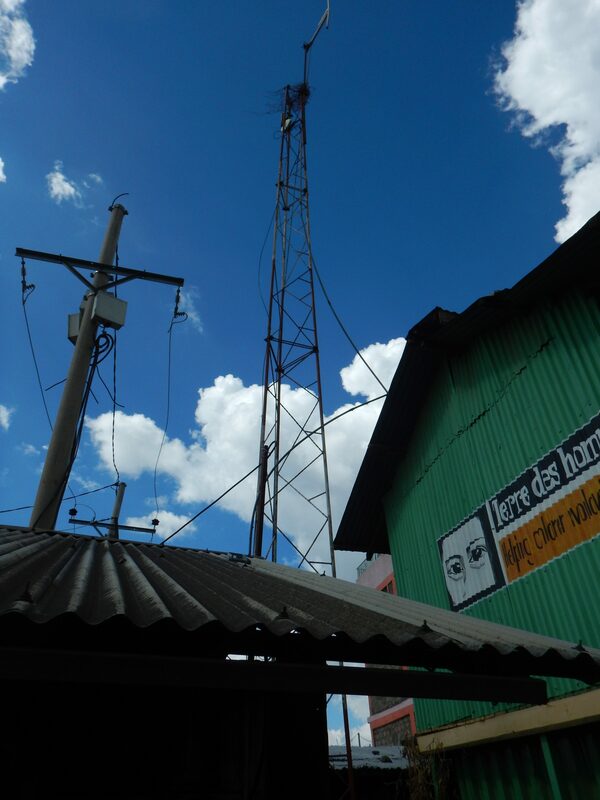 KOCH was the first noncommercial station licensed by the Kenya authorities for broadcasting in the slums of the city and allowed to program on 99.9 as a frequency. 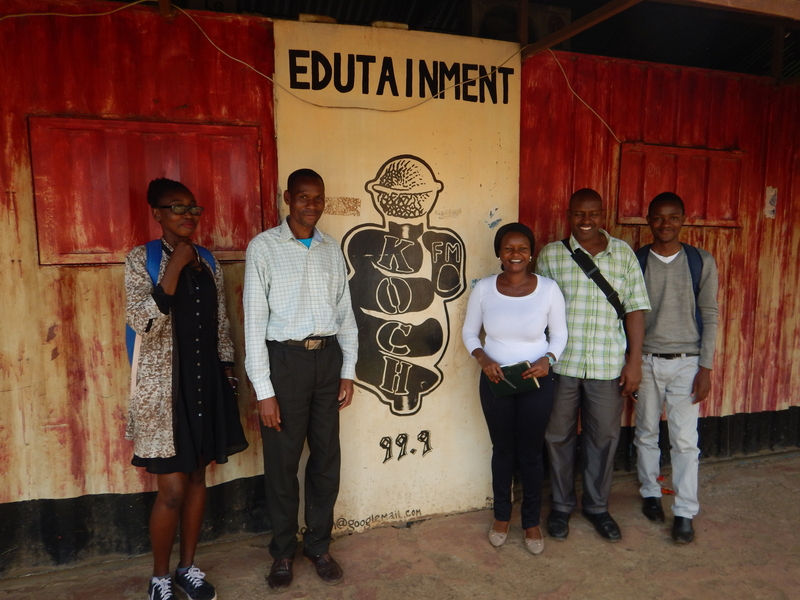 The government’s view of “slum radio,” organized and supported by youth as the driving force in Korogocho, was to limit the power of the station to only 25 watts so that their reach would only be about 3 kilometers. Given the size of Korogocho as the 3rd largest slum in the country and the oldest in Nairobi, that still gave the station a potential audience of hundreds of thousands of people, if they could reach them. …In response to the political violence witnessed in Kenya after the disputed results of the December 27 2007 general elections, Koch FM gathered community members to create peace messages and jingles, which they regularly played on air. The team mobilised people to donate food and clothes through radio appeals; they then distributed the donations to the over 500 families that were camping at the Star of Hope Academy in Huruma. In collaboration with other pro-peace initiatives, Koch FM mobilised, organised, and undertook a call-for-peace procession in Korogocho and Ngomongo. 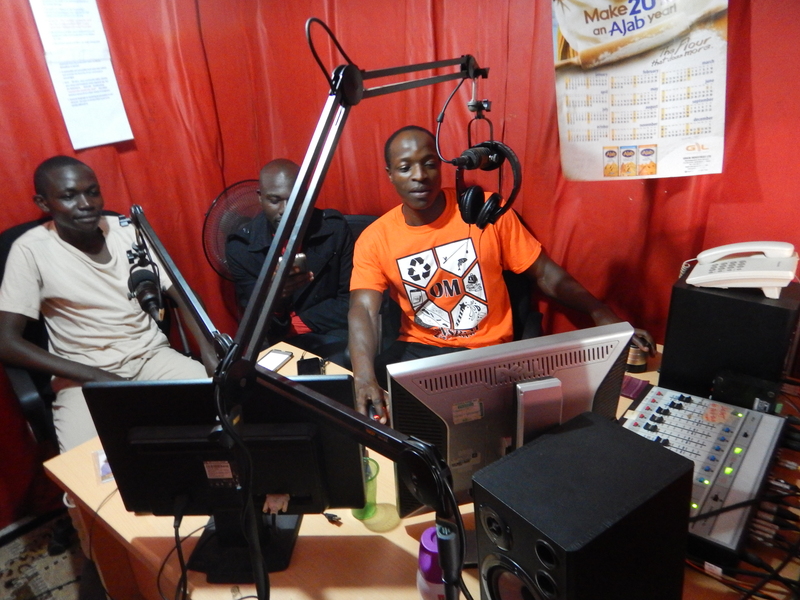 Apart from peace slogans, songs, and chants, Koch FM distributed handbills and T-shirts with peace and reconciliation messages. Indeed, these were our kind of people. We had an extensive conversation about ways that ACORN could partners with KOCH, as well as the prospects for KOCH joining our partner, the Affiliated Media Foundation Movement and sharing some programming, technical tips, and experience. We hope great things come from this small beginning.